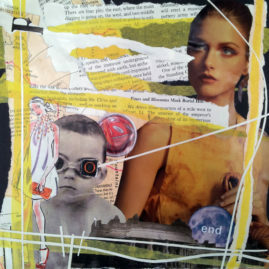 I’m fascinated by collage art & how people create collages. 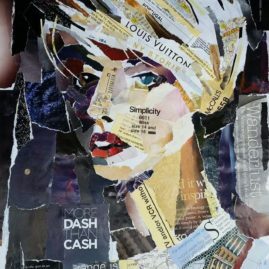 What techniques people use & which materials people are attracted to. 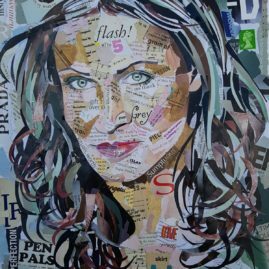 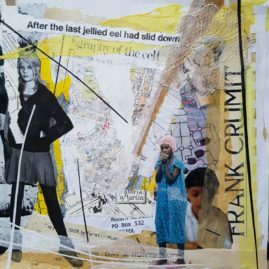 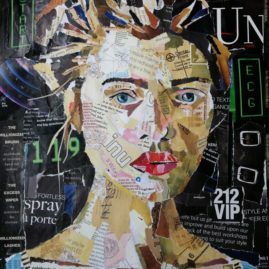 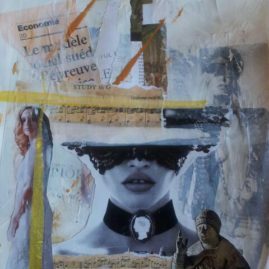 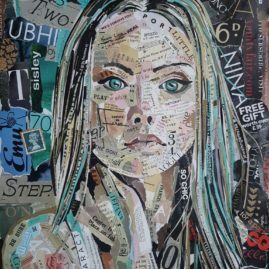 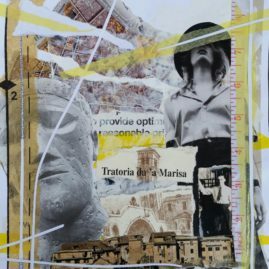 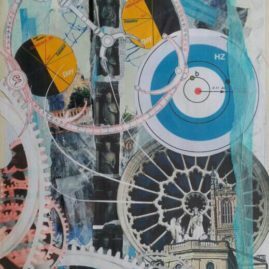 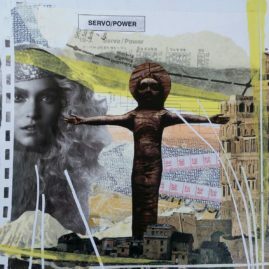 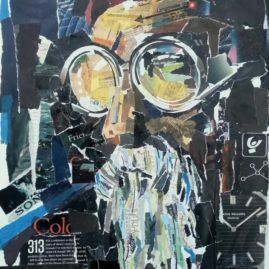 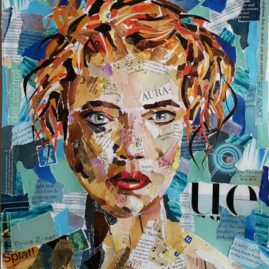 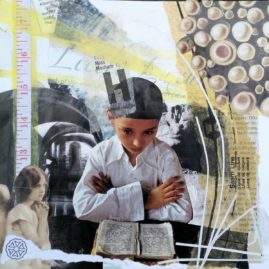 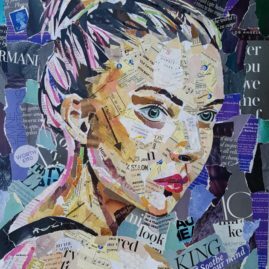 My mixed media collage work is created as instinctively as is possible, using tissue, magazines, newspapers, paint, drawing and found materials. 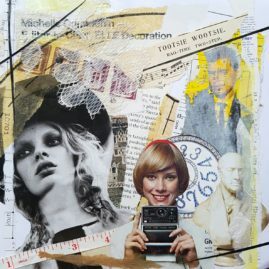 I’m constantly on the look out for collage materials and much like a magpie, I’ll collect images & materials that I’m instinctively drawn to. 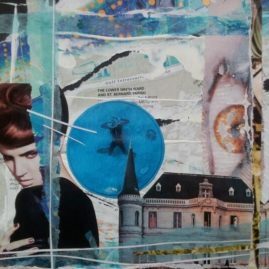 Then I’ll see just what I’ve got and have a play around to see which images & materials work well together.